Through a simple, at-home saliva test, JScreen allows prospective parents to find out if they are carriers for severe and often lethal diseases, such as Tay-Sachs, Spinal Muscular Atrophy and Duchenne and Becker Muscular Dystrophy, that could be passed on to their children. Participants register online for screening kits and mail their saliva samples to the lab for testing. On the heels of March 2017 recommendations by the American College of Obstetricians and Gynecologists (ACOG) that encourage physicians to discuss expanded carrier screening with their patients, JScreen increased its testing panel from 100 to more than 200 disease genes that could affect a couple's future children. JScreen, which is based at Emory University School of Medicine's Department of Human Genetics, provides convenient, affordable access to help singles and couples throughout the United States plan for healthy families before pregnancy. With JScreen, prospective parents have a unique opportunity to access screening at a low cost. JScreen's test is significantly more comprehensive than other tests that can be ordered online. And, in contrast to other screening programs, JScreen functions under the direction of an MD specializing in genetics, and the cost includes genetic counseling via phone or secure video-conference. Through genetic counseling, couples found to be at increased risk gain an understanding of their risks and available options to help them have healthy children. "Genetic testing alone is not enough. Counseling is a necessary part of the process. Labs that report results directly to consumers put people at risk for misinterpreting the information they need to make family planning decisions," says Karen Grinzaid, Emory University Genetics faculty, and JScreen's Executive Director. JScreen's goal is to improve access to affordable, high-quality genetic carrier screening while making sure people have the genetic counseling support they need to understand their results and options. Thousands of participants from across the United States have been screened through the program. 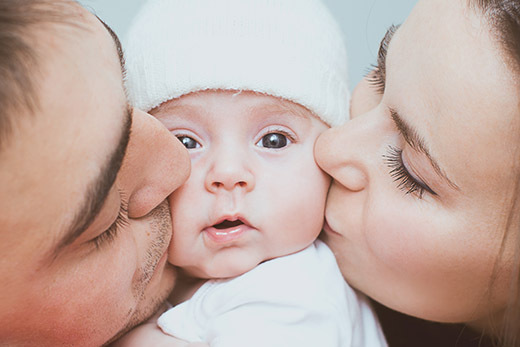 With the focus on pre-conception testing, many carrier couples have gone on to have healthy babies, thanks to JScreen's technology and services. Individuals or couples may request a screening kit and obtain additional information about the testing and counseling process at www.jscreen.org.